Get Your Wisconsin Police Report After a Car Crash | Hupy and Abraham, S.C. If local or state police came to the scene of your car accident, then a police report was likely written and, as a party to the accident, you will want a copy of that report to share with your attorney. The police report may contain important information about the cause of the accident and contact information for everyone else involved in the crash. Going to the State of Wisconsin Department of Transportation (DOT) website to purchase a crash report. Contacting the DOT offline at P.O. Box 7919, Madison, WI 53707-7919, or by phone at (608) 266-8753. As of October 2015, the cost for a crash report was $6. You should have one of the following ready when you make your request: the date of the accident and a driver’s license number; the document number; or the accident number. 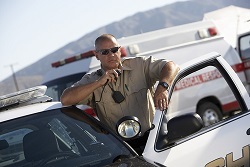 It may take up to two weeks from the date of your accident for your police accident report to be available. While the police report may contain useful information for you, you should not panic if the information in the report is incorrect. Sometimes the police make a mistake and that mistake may not prevent you from recovering fair damages for the injuries that you suffered in your accident. You should, however, consult with a Wisconsin car accident attorney to discuss the facts of your case and the content of the police report so that you can be confident that your rights and potential recovery are protected. To learn more, or for help protecting your rights after a Wisconsin car accident, please call us directly at 1-800-800-5678.